In small bowl, beat Bourbon-Pecan Mixture ingredients with whisk. 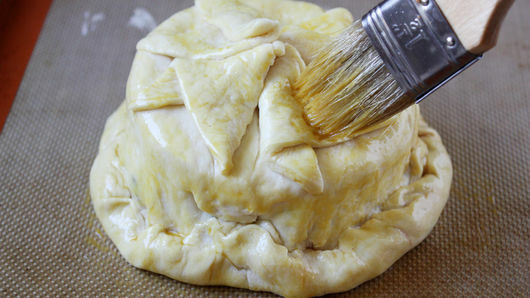 Cover and refrigerate at least 8 hours but no longer than 2 days. Heat oven to 350°F. On ungreased or silicone baking mat-lined cookie sheet, unroll crescent dough, and separate widthwise into 2 squares. Firmly press perforations to create 2 seamless squares. 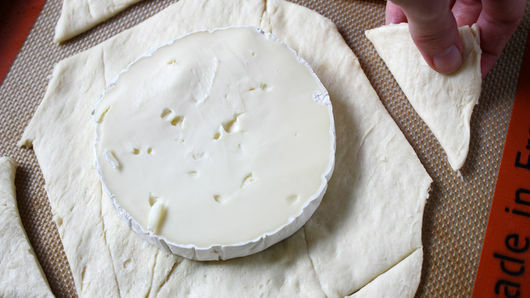 Cut Brie in half lengthwise to create 2 equal-size rounds. Place 1 Brie half rind-side down on top of center of 1 dough square; cut out corners of dough square with cookie or canapé cutter (or just cut off corners diagonally). Set cutouts aside. Spoon bourbon-pecan mixture evenly on top of Brie, then top with remaining Brie round, rind-side up. Place remaining dough square on top, and press dough evenly around Brie. Fold and roll bottom edges of dough over top edges; press to seal. Beat egg with 1 teaspoon bourbon whiskey, and brush evenly over dough. 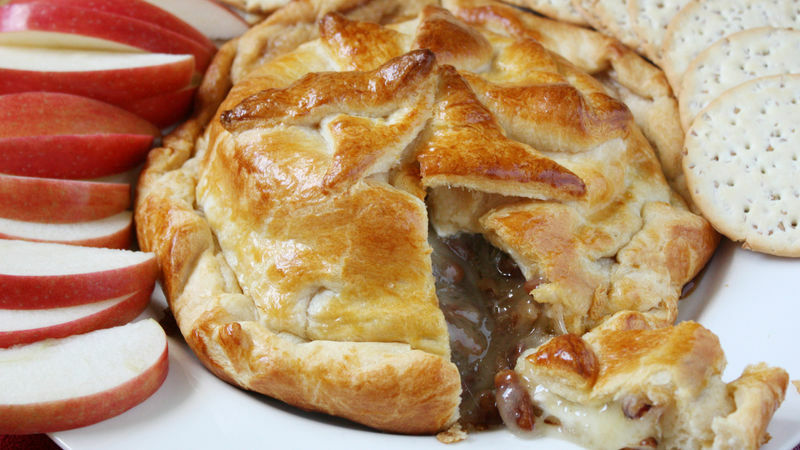 Bake 20 to 25 minutes or until dough is golden brown and baked through. Cool 10 minutes before serving. Serve with apple or pear slices, crackers or your favorite chutney. Don’t cut the rind off the Brie before baking; it’s not necessary. It will soften while baking.